Palm Spring Land For Sale – Now Sold! Deals like these won’t be around much longer! 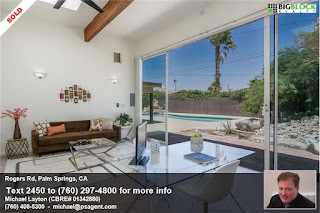 2450 E Rogers Rd Palm Springs CA For Sale $415,000. Best Priced Mid Century Home in the neighborhood. 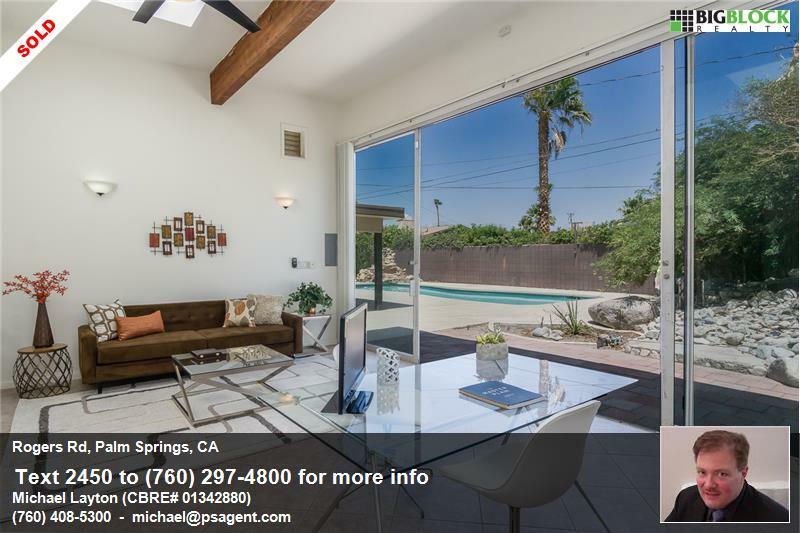 Walls of glass, light and bright, pool, bonus space (not included in the 1596 square foot) laundry and additional covered parking space next to garage. and information on your smart phone. 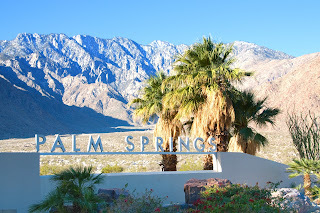 Desert Park Estates is a neighborhood in North Palm Springs California. See more homes for sale in Desert Park Estates with this link.